Do you like the taste of dry meat? Are you a fan of beef jerky? 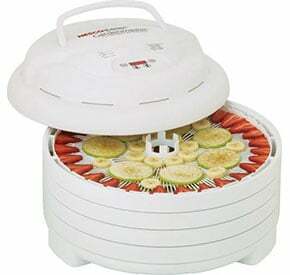 If you are, you are going to want to get L’Equip 528 Food Expandable Dehydrator for your home. You can use it to make your own dry meat every day, and the best is that it’s not expensive at all! You can also use it to dry fruit, veggies, and herbs. This food dehydrator has a number of unique features to offer, and you can use all of them to make your own dehydrated food you later use in your kitchen. When it comes to food drying, this device can be used for any foods. 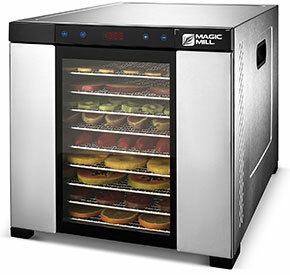 You can dry meat, fruit, veggies, herbs; you name it! The 12 feet of drying space is perfect for parties and family gatherings. The fan on this unit is located on the bottom. That is the standard for most home dehydrators. Once you put the trays with the food inside, the fan will keep the air circulating. That is what dries your food. Even though the airflow is vertical, the flavors won’t mix up if you put different foods inside. You can use the 6 original trays at the same time if you want. 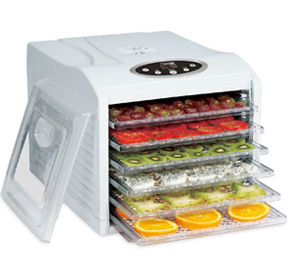 The L’Equip dehydrator 528 is just what you need to dry a large amount of food quickly. It is not the biggest model out there, but with 12 square feet of drying space, it can still cope with lots of food at the same time. If that’s not enough, you can get 6 more trays for 24 feet of drying space in total. So much drying spaces save you time and money as well. This dehydrator is perfect for drying meat, because the trays are large enough for bigger pieces, and they are strong enough to hold the weight. The original unit comes with 6 rectangle shaped racks that produce up to 12 square feet of drying space. It was designed to cope with 12 racks so that you won’t run out of drying space soon. You’ll save a lot of time and effort with the double rack option. All of the racks are made out of FDA approved plastic, so you don’t have to worry about dangerous chemicals. This food dehydrator is a bit different than most other models. It is made out of BPA-free plastic that was FDA approved, but that doesn’t mean it’s not durable. The unit weighs only 11 pounds, so you can easily move it anywhere you want. Even though it’s made out of plastic, this dehydrator still looks great in any kitchen because of it’s black base and gray trays. Unlike many other dehydrators, this one is almost completely silent. You can put it on the kitchen shelf and keep it on all day long without ever hearing it. This product comes with six trays originally, but it can hold double that number for a total of 12. This means that you can use fewer trays for larger pieces of meat or fruit, but you can also use all twelve to further increase the efficiency of the unit. You also get two additional solid sheets perfect for fruit roll-ups. The computer controlled temperature sensors built into this unit make things effortless when using it. The sensors monitor the temperature inside the unit every second, making sure that the distribution of heat and air is perfect. As a result, you have a stable drying environment that produces perfect results every single time. 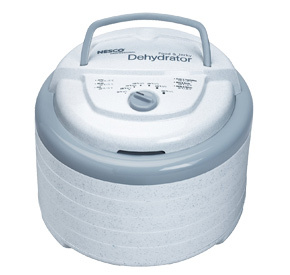 If you are new to food dehydration, you probably don’t know that many recipes. Well, with this unit, you get a booklet with a user’s manual and a large number of recipes you can implement in your kitchen. 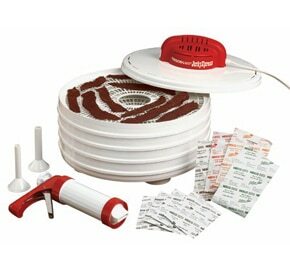 That’s a great accessory that’s ideal for everyone new to food dehydration. This product features a dedicated on and off switch. Just turn it on once you’ve put the food inside and wait till it’s dry to turn it off. The weight of this unit is 11 pounds. Like most dehydrators, this one has the fan and heating unit placed at the base. The air is circulated from the bottom to the top, through the trays. This model comes with six trays, but it can hold six more, for the total of 12. Even though this unit is quite large, it’s lightweight so you can move it without problems. The unit measures at 17 by 11-4/5 by 10-1/2 inches. The L’Equip food dehydrator 528 has a thermostat with a temperature range between 90 and 160 degrees Fahrenheit. This wide range allows you to dry any kind of food in it. With 10 years of warranty, you know that this is a product that lasts for a long time. You get a lot of value for the price you’re paying. 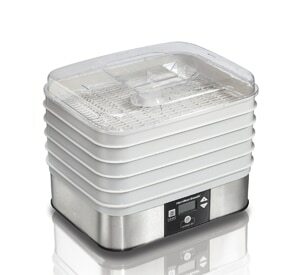 This is one of the best dehydrators for the money. The unit was designed to save space, and it’s light so you can move it easily. The sensor monitors the temperature constantly, providing the optimal drying environment for all food types. This is one of its best features. If that isn’t enough, add six more trays to double the drying space. Cleaning the trays after usage is as simple as it gets. Just rinse them with water and wipe the corners while the trays are still warm. The plastic used for this model is BPA-free, and FDA approved. Dedicated on-off switch for easy usage. The plastic is non-toxic, but it can break easily if you are not careful. If you want to use the additional six trays, you’ll have to pay a steep price. 1. Can I use this dehydrator for fruit and veggies? Yes, of course. Use it to dry anything that fits inside. 2. Are the plastic trays safe? Yes, they are. The trays are made out of BPA-free FDA approved non-toxic plastic. 3. What is the warranty for this product? This unit comes with a 10-year warranty. 4. Do the extra trays come with the unit? No, they don’t. You’ll have to buy them separately. 5. Does it take a lot of time to operate this unit? No, using it is really simple, and you even get an instruction manual with recipes upon purchase. If you have a thing for dehydrated food, but you don’t want to spend a fortune on a dehydrator, this L’Equip food dryer is the ideal choice for you. This dehydrator is light, it has a ton of dehydrating space, and it’s easy and simple to use. Overall, it’s a great add-on to any kitchen, and your family and friends are going to love it for sure!